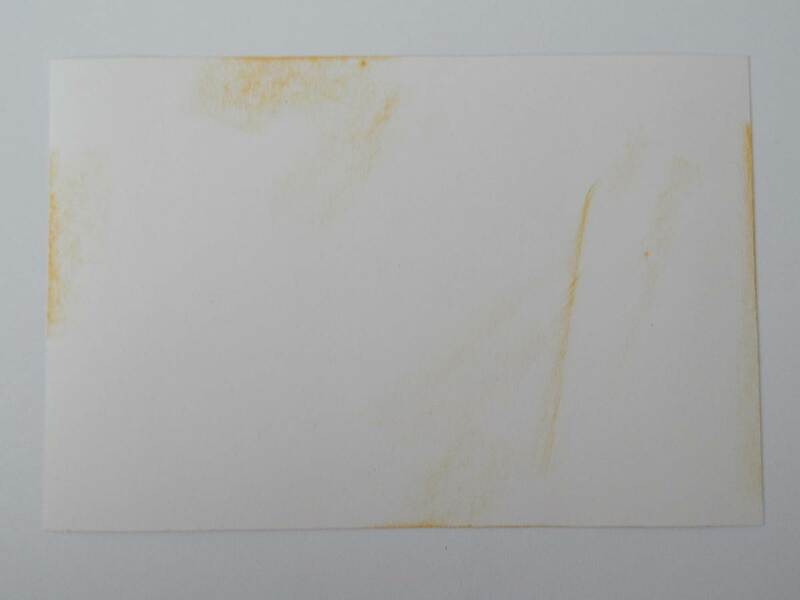 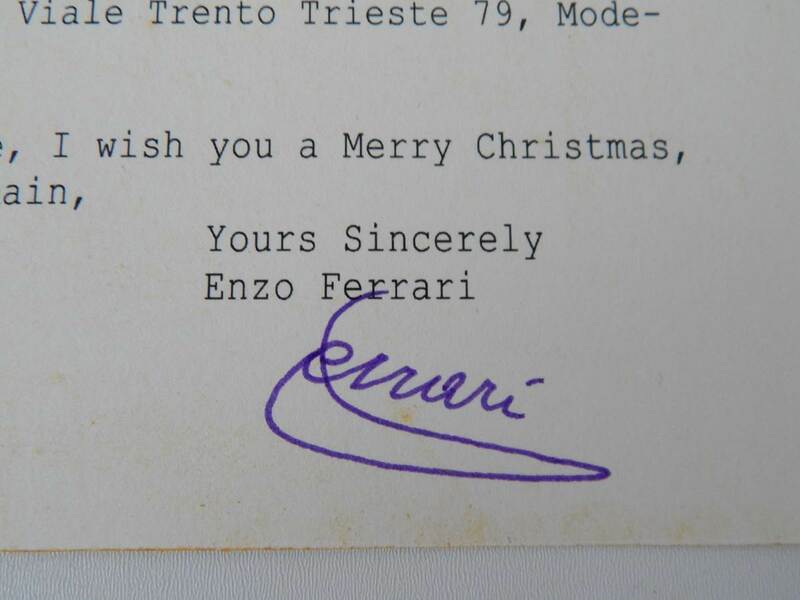 Original Enzo signed postcard in very good condition. 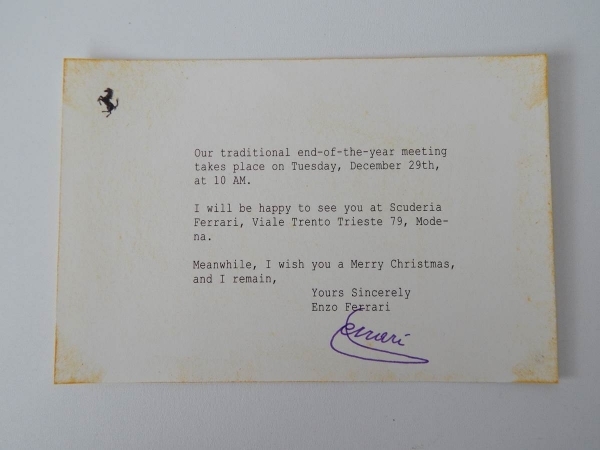 Featuring Enzo’s signature in the famous purple pen, this card details the end of year meeting and a very nice Christmas wish from Enzo himself! If you’re a Ferrari collector, you absolutely must have this superb piece of history!